#30 We went on an adventure! Do any of you have a decent craft store near you, or are you forced to shop online? I really need to make cards more often! They’re small projects that give you the satisfaction of a finish & it doubles up as a gift as well! 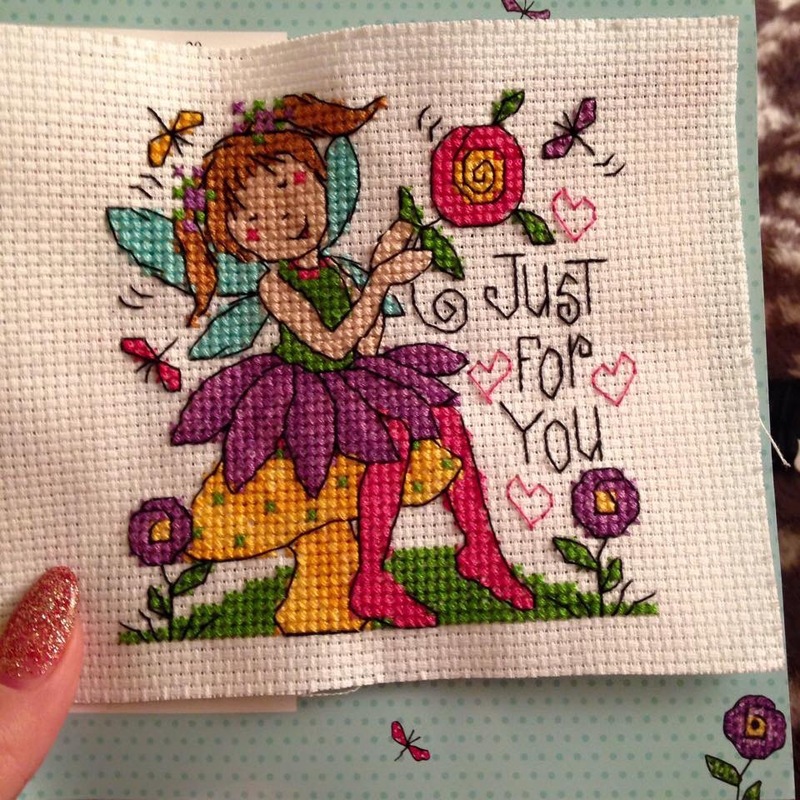 I made this one for a friend last year & it was made as a birthday/Christmas card ☺️ The design was a free chart that came with World of cross stitching… I think. Please correct me if I’m wrong. I hope this post finds you all well! I have never made a cross stitch card 😦 I definitely should remedy that and make that a goal in 2016. They are so cute and like you said they probably go really quick. Your little fairy is so sweet. How could the recipient not smile at that?